A good looking crew - in descending height order. Eli becomes the very first Bhatt lab member to pass his quals! And inaugurates the drinking trophy! Brayon passes his quals - and drinks from the lab trophy! Fiona passes her quals - and drinks from the lab trophy! Jessica passes her quals - and drinks from the lab trophy! 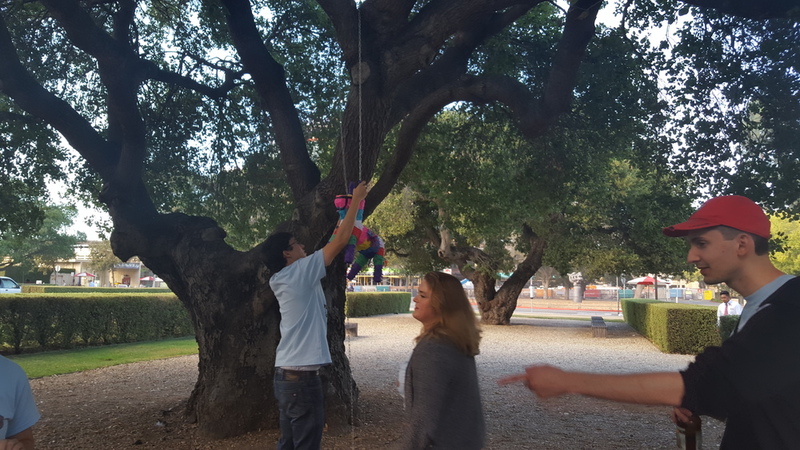 Eli and Katia put up the Pinata at the Bhatt lab birthday party! The Bhatt lab turns 1 year old! Fiona and Jessica sport the cool Bhatt lab shirts that Fiona designed. Tessa thanking our stool collection nurses with poop emoji themed cupcakes!